I had the privilege of talking with Sue Schlegel, Lean Six Sigma black belt and quality improvement mentor at White Sands Missile Range, which is located just outside of Las Cruces, New Mexico. Schlegel and an improvement team at White Sands recently conducted a Lean Six Sigma project to streamline surveillance processes and they used Minitab to analyze the data. We found Sue’s story an interesting case study for a LSS project, so I thought I would share it with you here on the blog, too. The team followed the DMAIC methodology and organized their project into five phases: define, measure, analyze, improve, and control. From start to finish, the process involved fifteen steps, which included time for technicians to travel to and from the mission site, set up and tear down equipment, and monitor video surveillance streams. With Minitab charts, the team was able to view the distribution of process cycle times and identify the current mean process cycle time. To assess the baseline process performance and capability of the current process, they performed process capability analysis. 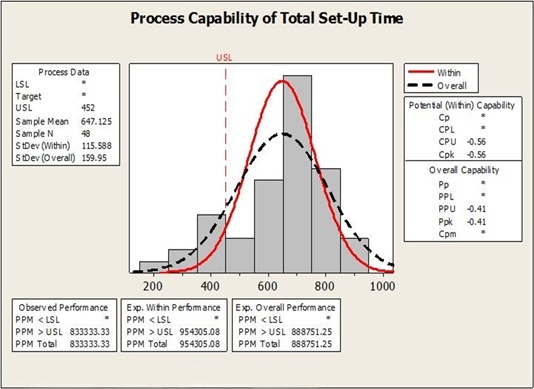 The capability histogram they created verified that the process was not meeting the upper specification limit for cycle time. 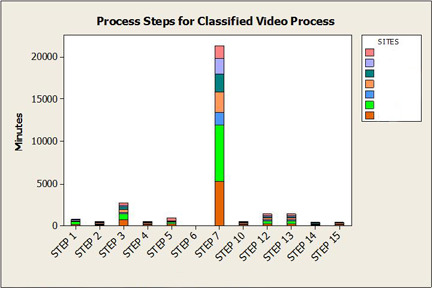 For further insight into each process step, the team used stacked bar charts to analyze the time technicians spent at each step across mission sites. This made it easy to see where process bottlenecks were occurring at each site. Armed with this understanding, the team set out to understand root causes and prioritize possible solutions. Because the surveillance missions required manpower to monitor video streams for long periods, they looked for alternative ways to monitor streams that did not require human attention. After researching and talking through various solutions, the team decided to implement and pilot-test automated video surveillance cameras equipped with powerful motion detection software. 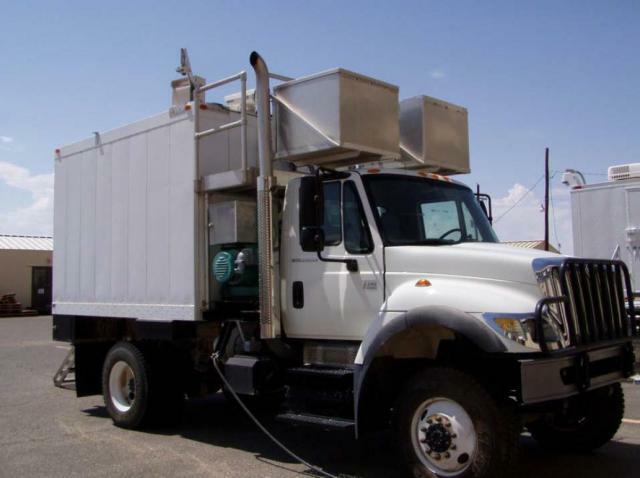 The new cameras were cost-effective, easy to install and maintain, and drastically reduced the manpower needed to carry out the monitoring phase of video surveillance missions. The original goal of the project was to reduce the work hours involved in the classified video surveillance process by 30 percent. After implementation of the new surveillance system, the hours were reduced by 47 percent—greatly surpassing the original project goal. What formerly took four optics technicians to complete can now be done with two technicians, freeing the remaining technicians to work on other missions to support White Sands customers. The team anticipates the new process will also save customers $1.6 million through 2018. By removing non-value-added time from the process and reducing the number of process steps, the project increased the process cycle efficiency from 10 percent to 19 percent. The team verified that the new process was in control and the post-project capability analysis revealed they met their goals for reducing the process cycle time. Thanks again for sharing your story with us, Sue!